The Fredericksburg, Texas, wine region, boasting more than two dozen wineries, is one of the most visited wine areas in the United States. With up to 5 million visitors each year, the area is second only to Napa. 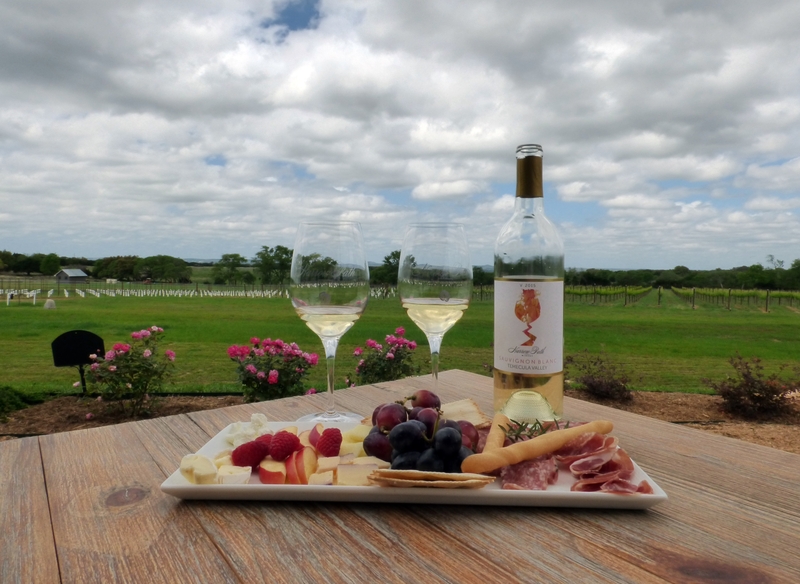 The entire Texas Hill Country is home to more than 45 wineries and vineyards, with Fredericksburg as the epicenter of the Hill Country wine region. With so many wineries to choose from, Old Liquors Magazine takes you on a tour of five unique wineries and vineyards you won’t want to miss along Wine Road 290. Visit http://www.visitfredericksburgtx.com/attractions-categories/wineries/ for a complete list of wineries and vineyards. Start your tour at the newest tasting room along the Urban Wine Trail in downtown Fredericksburg. Becker Vineyards is one of the largest wineries in Texas and is located just a few miles from downtown Fredericksburg. Becker Vineyard’s winery is a 10,000-square-foot facility, which is a reproduction of a late 19th-century German stone barn, a prevalent style of the Texas Hill Country. Since first opening in 1996, three winery expansions have taken place to accommodate 74 fermentation tanks and over 3,000 barrels used during the aging process. 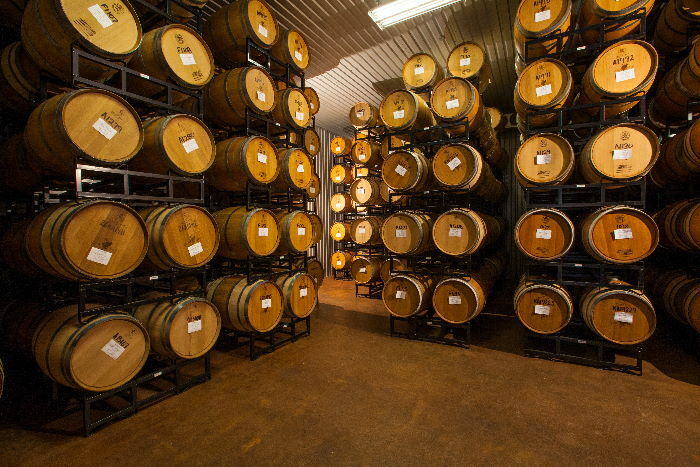 The winery is the largest purchaser of French and American Oak barrels in the state of Texas. While the tasting room is downtown, if you visit the vineyard, you’ll enjoy sipping a glass while gazing at their lavender field of 500 plants. 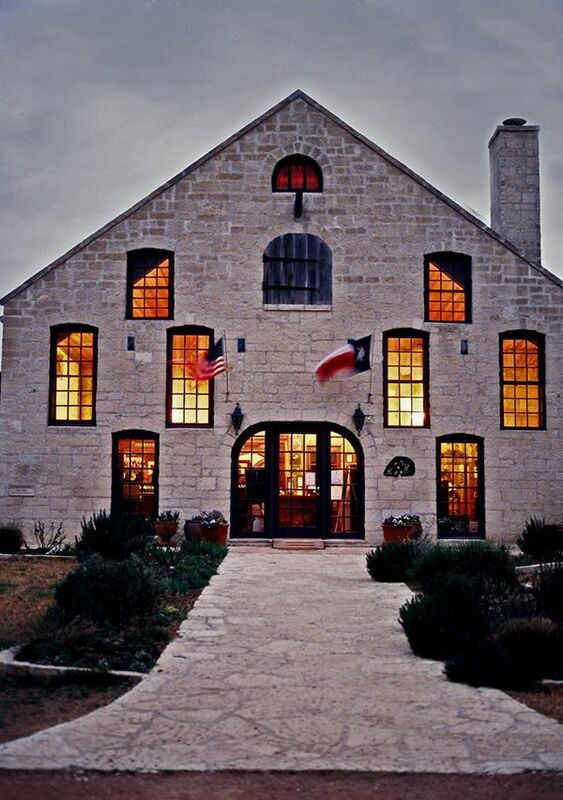 Head out of town east on Wine Road 290 and your first stop is at Wedding Oak Winery, where they create Texas wines that celebrate the Texas terroir and wine-growing conditions. You’ll find wines of distinction, grown from 100 percent Texas wine grapes. The name, Wedding Oak Winery, comes from a 400-year-old tree about a mile north of town. Legend has it that settlers and Indians would marry under the tree. Winemaker and viticulturist Penny S. Adams is a passionate promoter of Texas wine, consistently making wines of distinction. Adams blends complementary grapes and uses minimal oak aging to let the grapes express their true qualities. The winery on Wine Road 290 is nestled inside Wildseed Farms, so be sure and save some time to stroll the fields of wildflowers while you’re there. The next stop on this tour is the Grape Creek Vineyards where they offer barrel tours and tastings. Started as a vineyard in 1983, you’ll find the rolling hills and distant vistas of the Texas Hill Country reminiscent of the growing regions of Italy and the Rhone Valley in Southern France. The land presents history beyond its more recent wine experience. The property is located on land believed to have been a Comanche campground. Spearheads, arrowheads, and skinning tools have been found on the property. The vineyards are designed in blocks situated throughout the 100-acre site to take advantage of the best soil, air flow, and high ground to help protect the vines from freezes. Grape Creek also boasts the first underground, commercial barrel cellar in Central Texas. 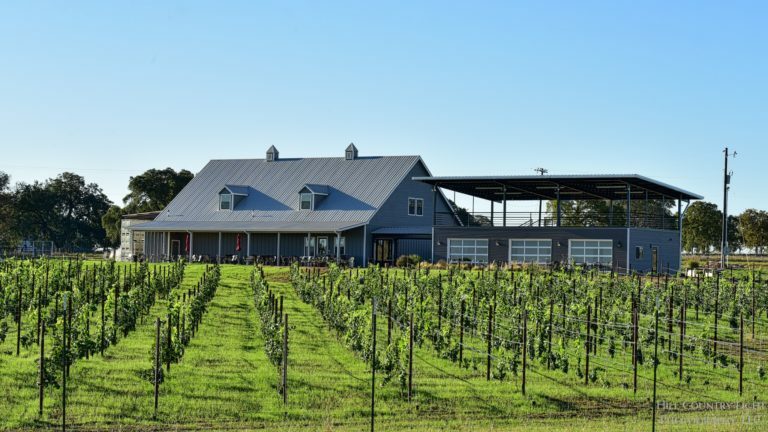 Your next stop is at the newest winery located just outside of Fredericksburg. The Turbeville family has been making wine since the early 2000s and has a tasting room in downtown Fredericksburg in addition to the vineyard. The newly opened winery location boasts floor-to-ceiling windows and stunning Texas Hill Country views. Thanks to the windows, you can enjoy a wine tasting in their beautiful tasting room without sacrificing the view. Or, step outside to the patio and experience one of the best views in the Texas Hill Country while sipping a glass of wine. All wines are small-batch (under 200 cases), featuring fruit from their estate vineyard along with grapes from select Texas and California vineyards. 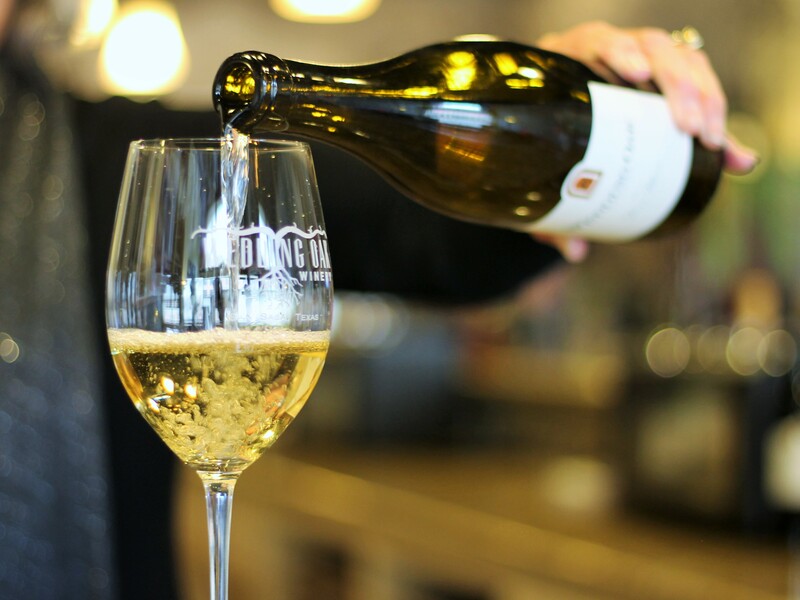 The final stop on this wine tour brings you to Kuhman Cellars, where you’ll find an intimate and educational experience guided by a sommelier. Be sure and make an appointment ahead of time for a food and wine pairing. At the Signature Pairing, you’ll enjoy a food and wine experience guided by one of Kuhlman Cellars’ knowledgeable sommeliers, all while surrounded by the working winery and barrel cellar. The hour-long experience includes a discussion about the food and wine pairing chemistry, Kuhlman Cellar’s history, and the techniques and philosophy of their winemaking team. You’ll taste five wines crafted by Kuhlman Cellars, along with five seasonal small-bite creations by Chef Chris Cook. The Signature Pairing is $27.50 per guest. While you’re there, be sure and taste Kuhlman Cellars’ herbed almonds. This specialty item pairs well with an acidic dry white or a rose wine.